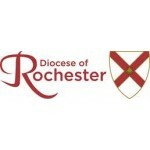 We are currently looking for an experienced safeguarding professional from a social work, probation, police, health or other relevant background to join our small but busy team based at the Diocesan Office in Rochester. The Diocesan Safeguarding Adviser would be a key member of the safeguarding team promoting good practice in all matters relating to safeguarding across the Diocese through the provision of advice and support to parishes, clergy, Archdeacons and Bishops and undertaking casework. Undertake safeguarding casework and record in line with the House of Bishops safeguarding policy and guidance ensuring files and correspondence are maintained in accordance with best practice. Ensure relevant safeguarding information and documentation is accessible to all throughout the diocese and support parishes in ensuring they have adopted and implemented diocesan policies and procedures in line with the House of Bishops’ policies and guidance, provide ongoing advice to parishes on policy issues. Work with relevant local agencies involved in the safeguarding of children and vulnerable adults including police and local authorities. Provide or arrange risk assessments arising from information emerging from DBS Disclosures or other sources and participate in the implementation of any recommendations when required. Provide advice to parishes on Safer Recruitment. The successful applicant should be an excellent communicator with proven experience managing a busy and varied caseload. Candidates must have previous experience within a similar role at practitioner level working with children, young people or vulnerable adults and have the ability to demonstrate transferable knowledge. A relevant qualification in social work or similar would be beneficial. The successful candidate will require an enhanced DBS check.